Item # 307578 Stash Points: 6,495 (?) This is the number of points you get in The Zumiez Stash for purchasing this item. Stash points are redeemable for exclusive rewards only available to Zumiez Stash members. To redeem your points check out the rewards catalog on thestash.zumiez.com. Brighten up your sporty style in the Colorblock Orange Crop Hoodie from adidas. 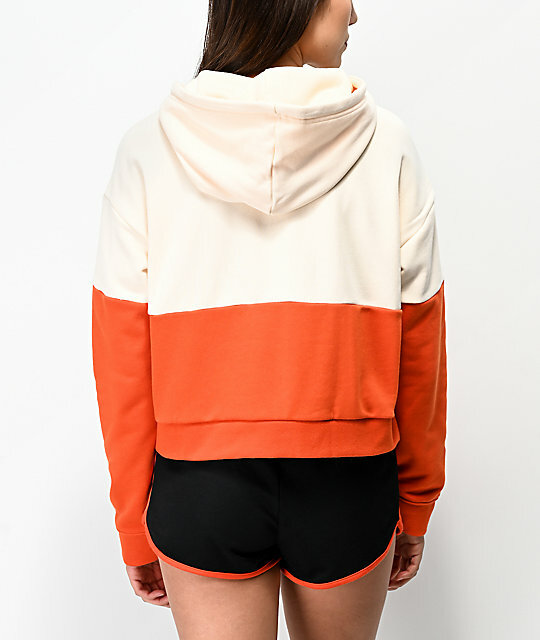 This hooded sweatshirt comes in a cropped, boxy silhouette, with an orange and cream colorblocked design. 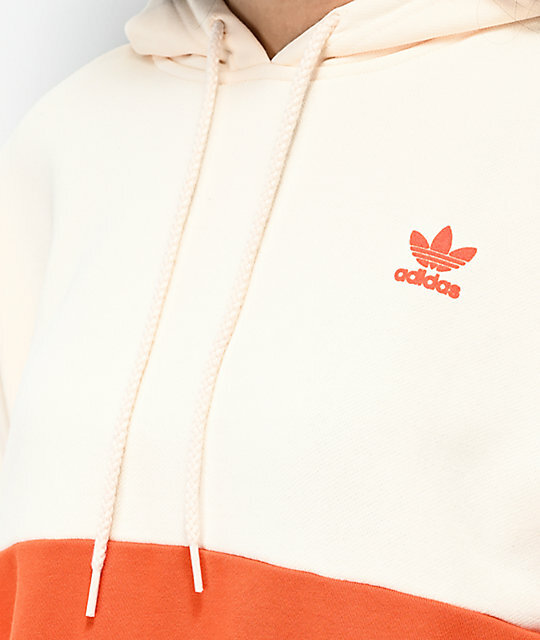 An adidas Trefoil logo is added to the chest in orange, while an adjustable drawstring hood and French terry lining offers a comfortable fit for all of your daily looks. 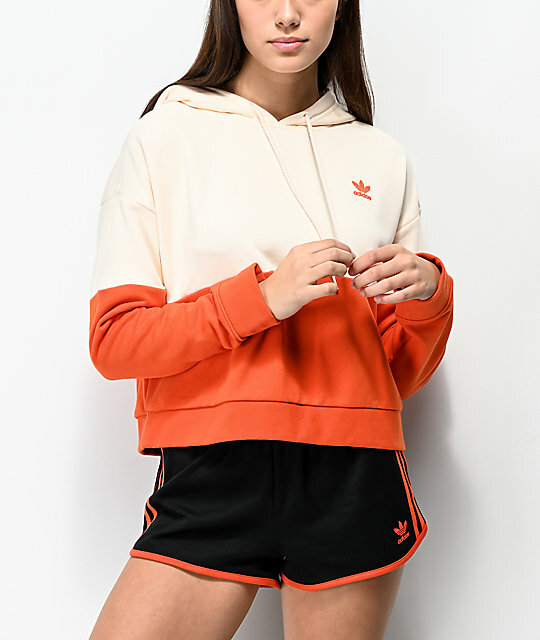 Colorblock Orange Crop Hoodie from adidas. Flocked trefoil logo on the left chest in orange. Orange & cream colorblocked construction. 21" (53 cm) from top shoulder seam to bottom hem.